Eva is an awesome, mature, young gospel artist putting God first and taking care of her father’s kingdom business always seeking those she comes into contact with that God’s got your back and will continue taking care you. PRLog (Press Release) – June. 17, 2013 – DAYTONA BEACH, Fla. — The long awaited BORN TO PRAISE CD #4 is set for release on Oct 21,2013. She loves her music ministry and wants to be a faithful Christian artist. The CD will have a mixture of catchy, upbeat hiphop, R&B, pop tunes combination with meaningful lyrics that can relate t many. She prays that many hearts will be touched. Eva, an unsigned 16-year-old R&B Pop Christian artist and singer/songwriter from Lynwood, WA is ready to tour nationwide and international. We ask that all churches as well as promoters please consider booking Eva supporting her upcoming CD. She can be found on the website www.evasborntopraiseministry.com . Her music is joyful, uplifting, inspiring, affirmative, exuberant, and has a very strong message that will bless your soul over and over again. Her new much anticipated CD is full of anointing. She has been interviewing on multiple radiostations and Internet stations as well as different magazines. More and more stations are playing her music across the country. 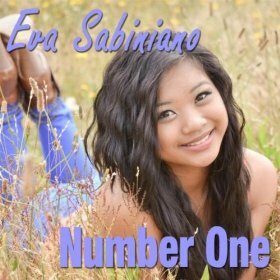 For more information on Eva Sabiniano, her music, merchandise or how you can get her music on your station, please contact us through her website. Here are some links to check Eva out. Eva is a 16-year old Filipino American unsigned Christian artist, songwriter, and executive producer. She started taking voice lessons at the age of five. Her singing talent has been showcased in various events such as major concerts, festivals, church special occasions, and fundraisers. She likes to play drums, piano, compose songs, dance hip-hop, and do arts such as drawing and painting. At nine years old, she won the 2006 FCS Asian American Idol Champion on September 10, 2006 in Seattle, WA. At ten she released her first Born to Praise CD-1 album in March 31, 2007 and was nominated at Newsome Gospel Music Awards in the “Children’s Performance of the Year” categories in Kansas City, MO. She received Life of the Spirit Awards in recognition of her outstanding commitment to “Reaching the World for Christ” through her Born to Praise Ministry. She was selected by the committee of Igniting the Fire Media Group & GLORI Radio in Kansas City, MO. She was also nominated at the 23rd Annual Stellar Gospel Music Awards in the “Children’s Performance of the Year” categories in Nashville, TN,. In 2007 she released the “Jesus is always with you” music video and the song played in 70 countries and 800 cities all over the nations and it was # 9 in the top 20 in Christian/Gospel Billboard chart for two months. The same year Eva had her first Philippine concert with a total 4,700 audiences within 7 days preparation. After two years Born to Praise vol. 2 album was released in March 28, 2009 and was the featured artist of The Power Pages News, the paper that gives glory and honor to God in Texas Oct. 1-31 issue and went back to the Philippine to visit the needy children and had her concert tour in two weeks with 27,450 total audiences. In 2010 First Asian (Filipino) to perform at the BET Dr. Bobby Jones Gospel Show aired January 17, and performed at TBN. January 2011 the Born to Praise vol. 2 album was nominated at the 25th Annual Stellar Gospel Music Awards in the “Children’s Project of the Year” category in Nashville, TN and the single ” He is the way ” has been playing in more than 150 Christian and Gospel radio staions all over the nation followed by nominations at the 4th Annual Urban Inspirational Awards in the “Urban Inspirational of the Year” and “Contemporary Gospel of the Year” categories in Charlotte, NC, at the 10th Annual Ensound Music Awards in the “Female Vocalist of the Year” category and her song He is the way nominated in the ” Song of the Year” category in Houston, TX and Black Essence Awards winner awarded with college scholarship in South Bend, IN. She also a cover page of The Modest Woman Magazine, March/April 2010 issue and You Magazine, Nov-Dec 2010 issue. Honored to be one of the guest artists at Rachel Lampa’s “Blessed” concert in Seattle, WA on May 22, 2011 . June 27, 2011 Release of Born to Praise vol. 3 album and nominated at the SFGMA Awards in the “Best Gospel Youth Performance, Best Gospel Album & Best Gospel Praise & Worship” categories. March 2, 2013 released the new hot single ” Number One” from upcoming Born to Praise Vol. 4 album. The album will be out Oct. 21, 2013.